Western China is facing the important opportunity brought by the dramatic adjustment of the electronic industry. As the crucial base of the electronic industry in western China and the home to many universities and colleges, Chengdu has witnessed rapid development of its electronic industry. The electronic industry in Chengdu has formed a development layout of “one core with multiple parks”, namely the high tech zone as the core with parks such as Chengdu Science City, Wisdom Valley and National (Chengdu) Electron Component Industrial Park. The Blue Ocean Market of the electronic manufacturing industry in Chengdu is blessed with measureless potential, especially in such key areas as semiconductor, integrated circuit, chip, photoelectric display, automotive electronics and military industry. 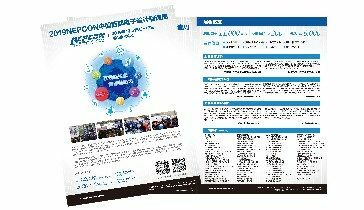 NEPCON West China 2019 in Chengdu will enlarge its exhibiting scope and interact with domestic electronics manufacturing industrial chain in West China, providing another strong marketing platform for exhibitors to expand their market share and conclude business deals in one of the fastest emerging market in West China region. Exhibits include Surface Mount Technology & Equipment, Soldering & Dispensing Equipment and Materials, Test & Measurement Equipment, Electronics Manufacturing Automation, Printed Circuit Boards, Automotive electronic, IC & Electronic component, etc. Various conferences will be held at the exhibition with the discussion topics in many areas covering surface mounting, automotive electronics, circuit board and smart electronic manufacturing, enabling you to catch forward-looking news and industrial development trend. 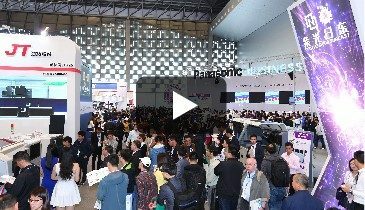 In 2016, the exhibition attracted about 6000 high-end buyers of various electronics manufacturersIt has been a professional platform for face-to-face exchange and communication between exhibitors and buyers.